A WIGAN dad who was struggling to cope without seeing his children was found dead in a block of flats on Father’s Day, an inquest heard. Simon Priestley had been suffering with depression and alcohol problems after his son was diagnosed with a brain hemorrhage back in 2007. He split with his partner and mother of his three children, Adele Brown, in February and had regular access to his children, but was denied this at times when he was drinking, the Bolton Coroner’s Court hearing was told. A family member expressed that he was “on a real downer” as a result of not being able to see his children on Father’s Day. The 48-year-old was discovered unconscious on the sixth floor corridor of Brook House in Scholes at around 3am on Sunday June 21. Ms Brown told coroner Alan Walsh that she had spoken to her ex two days before his death and he seemed fine, but she had told him that as he had been drinking she would not let him see his disabled son. 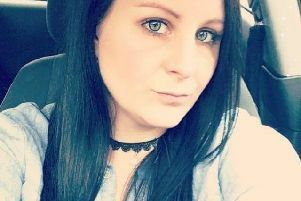 She revealed that he had taken an overdose of tablets at the end of March but added she didn’t think he had intended to take his own life in June. She also said that Mr Priesley had written notes to her and their children, expressing how lonely he was and he was in a bad place. His cousin Anne-Marie McGarty said he had told her he attempted to kill himself the week before, but could not go through with it for the sake of his children. She added he had a couple of falls and was not eating well and had a problem with alcohol. Eighth floor neighbour Denise Christian said she saw Mr Priestley through a peep hole from her front door at 12.15am on Sunday September 21. He was dressed in a smart shirt, as if he was about to go out for the night. Another tenant, Steve Richardson, said he saw a man lying on the floor in the early hours, between 12.30am and 1am, but thought he was asleep and didn’t think much of it. Mr Richardson’s friend, Noel Rigby, then saw the dad-of-three collapsed on the sixth floor at 3am and alerted the emergency services. Mr Priestley’s family questioned why he was not wearing his shoes and why he was on a different floor from where he lived. Mr Walsh said it was likely he was disoriented and took his shoes off to lie down. A post-mortem examination revealed he died of bronchopneumonia, as a result of an excess amount of the anti-depressant fluoxetine and chronic alcoholism. His GP, Dr Mark Smith, said that following an overdose in March, Mr Priestley suffered alcohol withdrawal seizures at hospital. He was released a short time later. It was also heard that Mr Priestley had referred himself to Wigan and Leigh Recovery Partnership for support with his alcoholism but didn’t follow up his appointment. Police-coroner’s liasion officer Alison Park said Mr Priesley’s last phone call was to Mike Scott, a friend in Brook House, who rang to see if he wanted to go round to his flat. She said Mr Scott said Mr Priestley didn’t seem to make sense and never showed up. She added police searched Mr Priesley’s flat and found two hand-written notes in the kitchen, plus two in the bin. There was also a large quantity of prescribed medication but no boxes of fluoxetine. It was noted he had an old injury to his head.